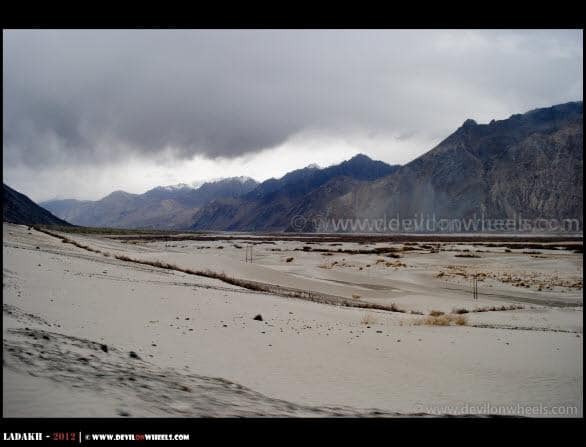 It was an action packed first of the day so far, weather was partially cloudy throughout the day but as we entered Nubra Valley it started to further darken… another piss-off for capturing the beautiful Nubra Valley this time. 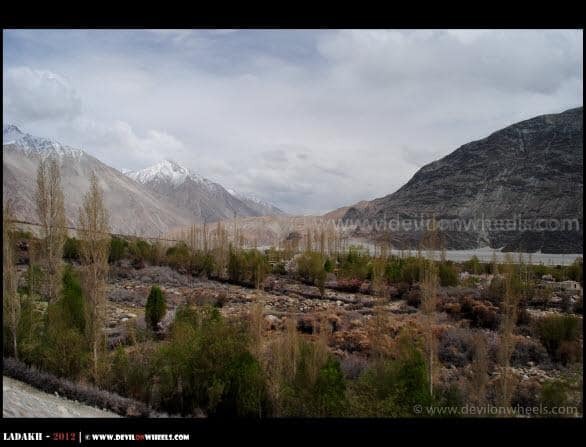 No worries, but our eyes were watching some breath-taking views as we continued from Agham Village towards Khalsar Village of Nubra Valley. Our prime plan was to visit Yarab Tso Lake at Panamik and then head back to Hunder for a night stay at Snow Leopard Guest House. We continued our journey towards Khalsar village with some mind blowing vistas passing by and stopped at a small dhabha for lunch. A lot of tourist stop at this village for lunch mostly either while coming back from Nubra Valley or coming from Leh. We spent about 30-35 minutes or so and started back. I really was not feeling good taste, so skipped to have something to eat and decided to take something in dinner only. As we parked our car there, it looked awesome with such magnificent vistas around it. We started the easy hike and were there at the lake within 15-20 minutes and after spending some nice times around that lake we came back. The whole stoppage did not take more than 60-70 minutes in between the slight drizzle. We started back the the journey for the night halt at Hunder and the vistas kept changing on the other side of the hill. 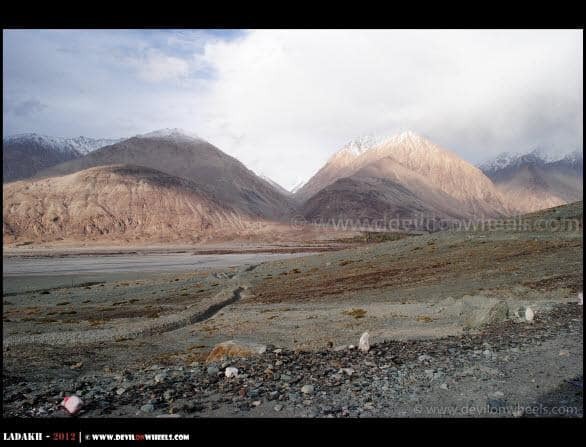 When you come near the Khalsar from Panamik side, there comes a T-Section from where you take right towards Deskit – Hunder – Turtuk villages of Nubra Valley, if you continue on this road then you exit towards Khardung La. We had to take right and reach Hunder. Meanwhile, Rigzin got a call as we were approaching that road, that an army truck has hit the taxi of the other group who was with Rigzin’s brother (I knew the one leading that group of 10, Deepak as he exchanged few comments on the blog). We quickly reached the point where the fight was going on with army guys and got into the action after seeing a big dent into Xylo rear window frame, especially Rigzin. Once they all decided to go to local Police, the army guy who was driving the backed out saying HE WAS DRUNK 😯 … Thankfully that car was on the other side of the gorge and to surprise stopped, just imagine if it had been on the other side. It was shocking to see such irresponsibility by army guys and later we felt it was routine for them. The Rigzin and his brother along with his friend asked 7K but managed to get 5K from those army guys in two trucks later after they went with them. The whole drama took about an hour but we kept enjoying the vistas as light and shadows played together. 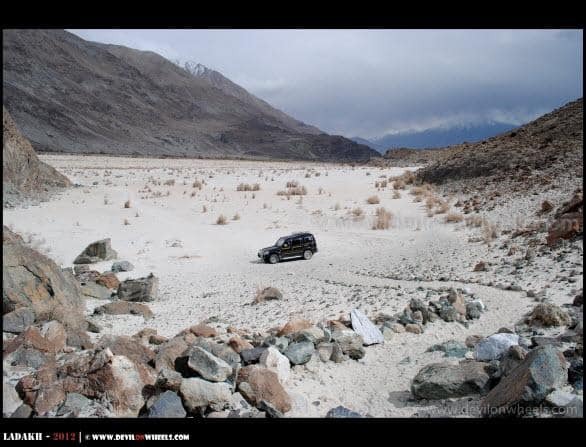 Gone through your entire Ladakh experience. 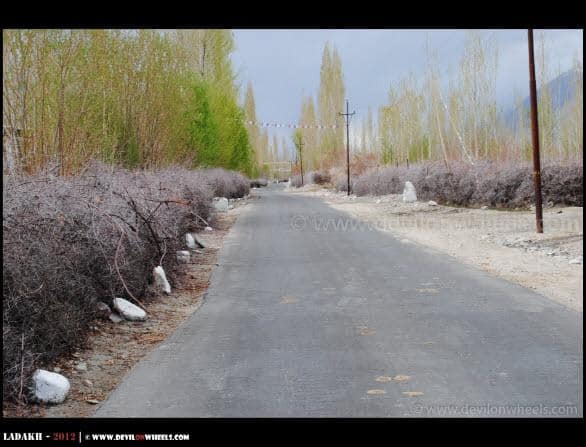 And Shyok Village Route experience was really exiting. 1. How feasible is it to do it in bike? 1. It is only advisable in case you have a backup plan to exit. There shall be at least few vehicles with you so that in case of any help of mechanical failure you may not get stuck. There will not be much help available in miles in case required. 2. No, there isn’t any stay option available once you move towards Wari La from Agham and next stay is Serthi/Sakti village only. 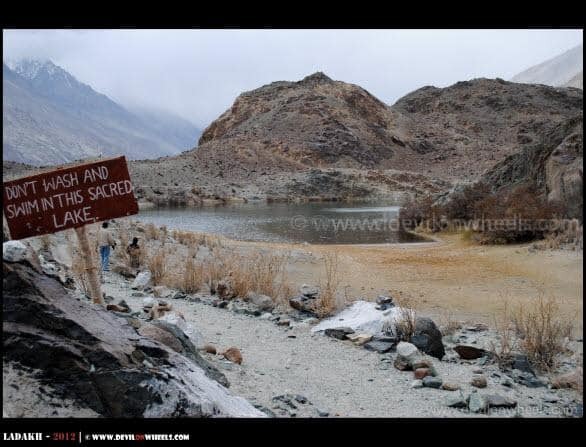 I was going through one of your post and in the comment section it was written “Bikes from other states are not allowed for Leh sightseeing”. Is it correct??? No Giri that is not true. It is true for rented bikes from other states. In case the bike is under your name or your father name or relative which you can prove relation, it is totally fine to take bike and ride there. That’s a big relief. 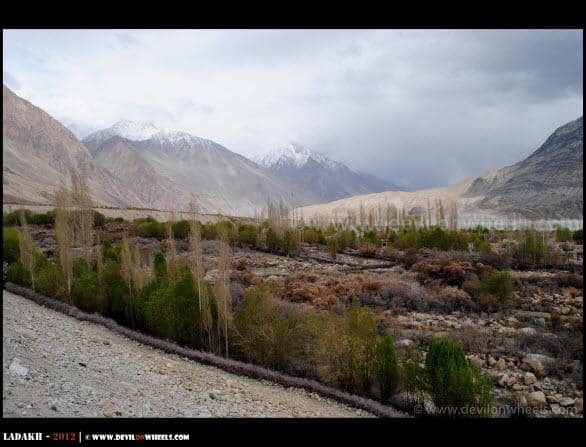 I have been to Ladakh in 2012 and yet again planning for 2016. 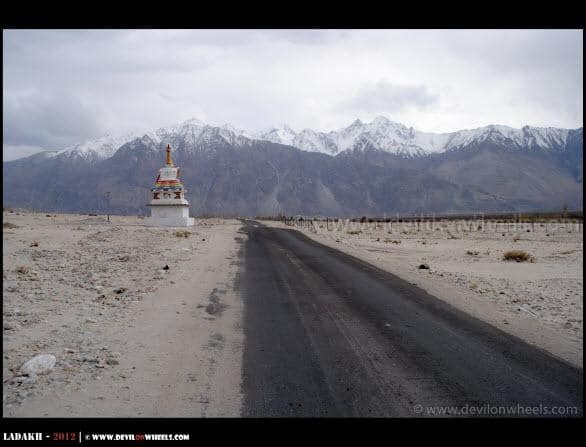 It will be a 23 days long covering Zanskar, Nubra, Pangong Tso, Hanle and Spiti Valley. Is there anywhere I can register myself in your website? 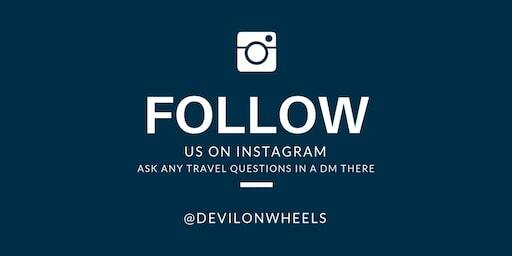 Regarding being member or joining DoW, there is no specific criteria we define except: If you are aligned with DoW Vision and DoW Causes and of course you like the spirit of Adventure plus love Himalayas and travel up there, you can be an active member of the DoW community and participate at the link https://devilonwheels.com/india/ … It can be accessed over mobile app of all platforms too, on the move or while traveling, details of which you can see in the announcement section of the community in above link. We share all the information about Himalayan Travel, share each other experiences, help each other build travel plans for Himalayas up there only. We publish all meets including Delhi Meets for Travel Chats on Himalayas as well as Himalayan Mega Meet for DoW Causes that happens once a year, in the community only. All active members are present in community, share experiences, guide others and reviews hotels/eating joints of Himalayas so that we can build up more knowledge together by sharing with each other and helping each other out for travel to Himalayas. Please register there and start participating. Join us over Delhi Mini Meets if you around here, check events section. Once a year we call a mega meet where we all travel to Himalayas together in a large group and execute various DoW Causes to spread smiles up there in Himalayas. 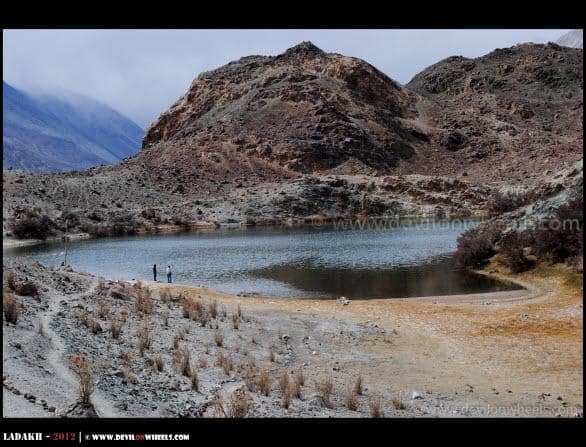 yarab tso,small but sacred lake, i wonder if this lake stays pristine and away from mass tourism. Domestic tourists should be encouraged & educated about responsible tourism. That’s right but mostly Indian tourists throw litter & trash. u must have seen what happened to shimla, dharamshala, manali etc. i fear that it will happen in ladakh also. Nimita, thank you for the enlightenment. I have taken out that picture. 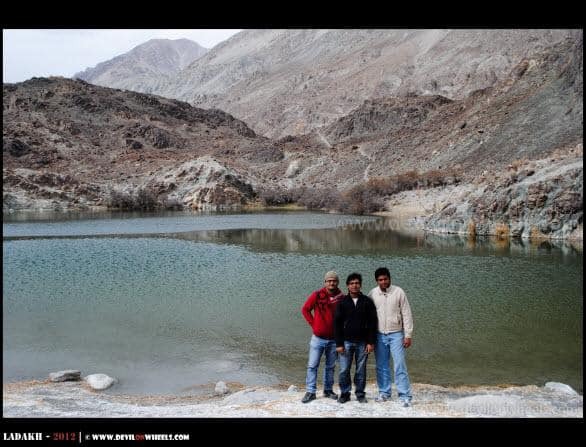 Thanks for sharing the details on Leh Ladakh, it has being a great help to me. I have the following itinerary in mind, let me know if this sounds doable. Day 12. Leh – Bangalore flight. Is this too hectic? or manageable? 1. Also, I was worried about AMS, though We will take care and also follow your advises. 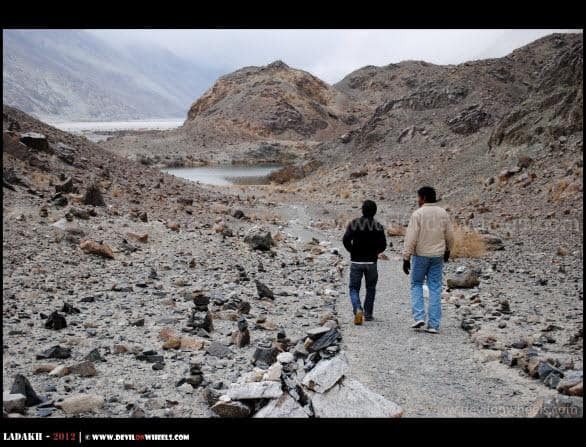 But, is it necessary to carry an oxygen bottle in all through our journeys in ladakh? 2. 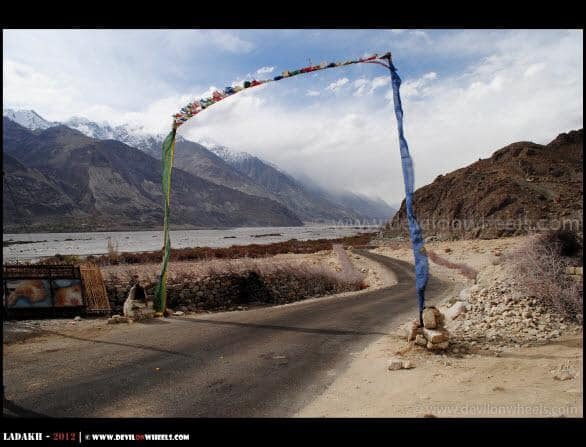 We have hired Xylo, is it good for travel in ladakh? 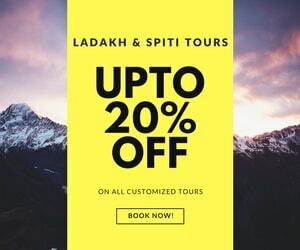 Also, we are 3 people and that person has charged us 20,000 per pax, inclusive of breakfast & dinner + hotel stay at leh & diskit and tent stays at pangong, tso moriri & tso kar + all taxi transfers for all 9 days + permissions if any. Does this sound ok? 3. I have seen the weather forecast from may 28 to june 9th and its shows ‘showering and cloudy’, we are traveling on the same days and it made me worried as we have tent stays also. what should we do if in case it rains? 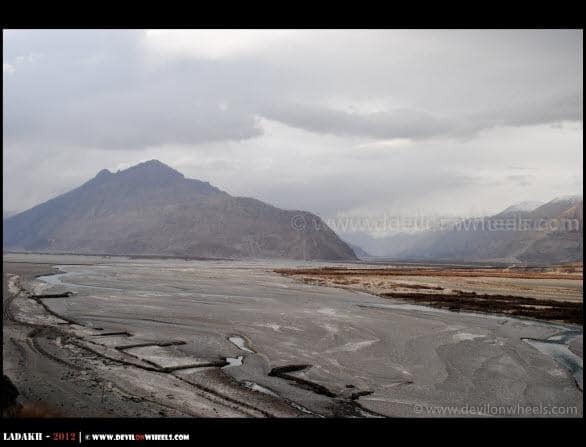 Are rains heavy in ladakh? 1. No necessity of carrying Oxygen bottles. Follow the advice as suggested in Acute Mountain Sickness and Importance of Acclimatization. Small Oxygen canisters are not much of a use. The article describes why. 2. Yes, sound good deal for 20K. 3. 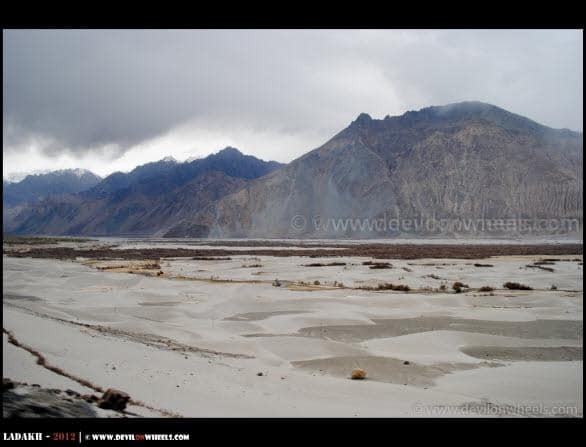 Hmm… that should not be an issue because it does not rain oo much in Leh – Ladakh being rain shadow region. I can’t quantify how greatful d whole group is to U for this extremely helpful guidance & information. 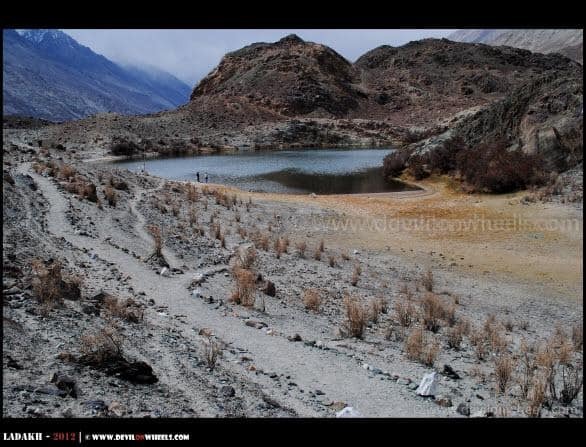 1 more qn pl; Can v start from Sissu, finish Chandratal lake & reach Manali by same evening ? advisable ? 1 Tso Moriri to Sarchu, dist is apx 220kms, Sarchu to Sissu is 135 km, & Sarchu to Battal is + 67 i.e. 202 km. & addup from Battal to Chandratal 10km + 2-3 km trek.In all 215 kms apx. Is it bcs of road condition Gramphoo onwards d reason u r asking to stay at Sissu ? As ppl r travelling from Sarchu to Manali which is apx + 98 km from Sissu. i.e. total apx 235 kms from Sarchu. Or there is other reason ? like it will b dark wn v reach Chandratal etc…? Yes, road conditions are the prime reason I am asking you to halt at Sissu. We started from Sissu at 7.30 AM in the morning and reached Chandratal about 1-1.30 PM only. Ur guidance is extremely helpful. R there any decent accomodations available at Agham or Thangyar village ? Even Homestays ? same qn for Man or Merak ? I really doubt on it but you can check. I will advice not to count on it though and better target Sakti which do have some home stays. Man – Merak will have few home stays. But, you can get them at Spangmik too with better facilities. 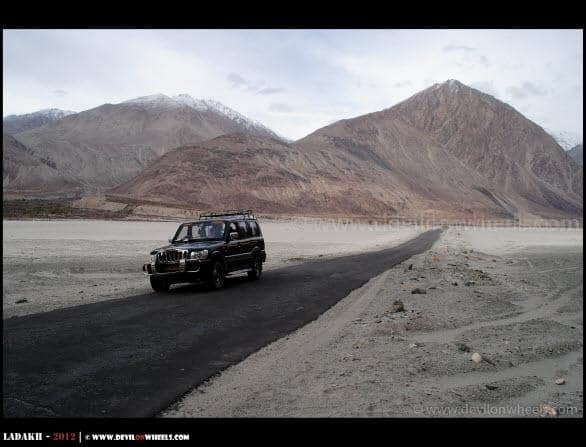 V have planned : from Sxr – Leh -Manali by Rd. 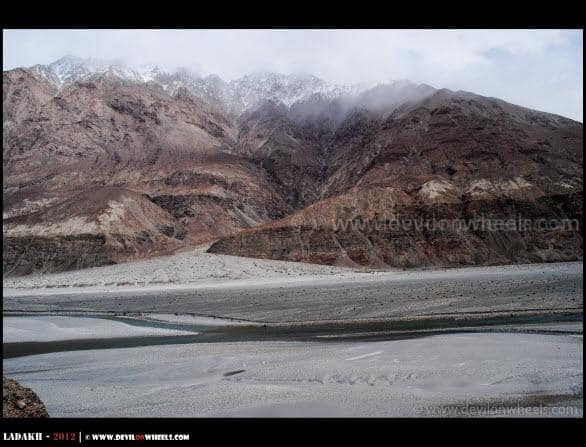 V want to do river rafting [RR] on d way to leh.V hv planned Saspul – Khaltsey for RR. V r starting at 6 am from Sxr, can v reach Mulbekh by evening , halting for 1 hr at Sonmarg, Having Lunch & s/s at Drass [90 mnts holt] ?. 2] Next day starting at 7 am from mulbekh, can v finish Lamayuru & go to Saspul, have lunch there & go for RR – Saspul to khaltsey, from khaltsey [go/dont to Uletopco], & then to Alchi for nt stay ? 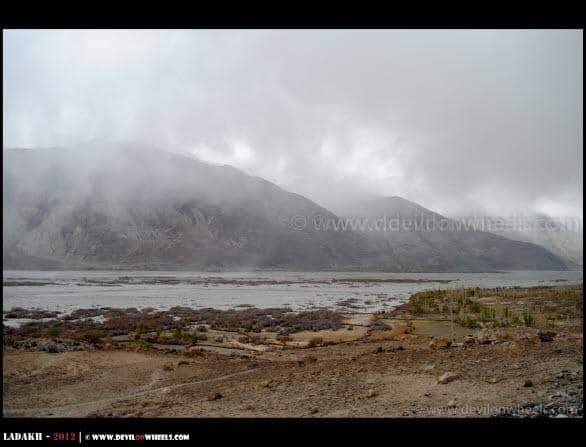 3] start at wt time from Alchi finishing Likir, I-Z confluence, Magnetic hill, Gurudwara PS & reach Leh at around 2 pm. 4] At wt time should v start from Tso Moriri, having a 15 mnts stop at Tso kar, 45 mnts for Lunch [ pure veg – where ? ],15 mnts break for tea & reach Sarchu in time [safely]? 5]At wt time should v start from Sarchu to reach Chandratal lake with similar breaks at Surajtal [15 mnts],Lunch break 45 mnts , 15 mnts tea break? Laxmichand, yes, you can reach Mulbekh by evening if you start early morning from Srinagar. Second day is also possible but River Rafting with un-acclimatized bodies will be a call for AMS, IMHO. But, considering timeline of Day 2, it also feels doable though not suggested. You can start from Alchi at 7 AM. You can start at 7 AM from Tso Moriri. You cannot reach Chandratal directly from Sarchu. 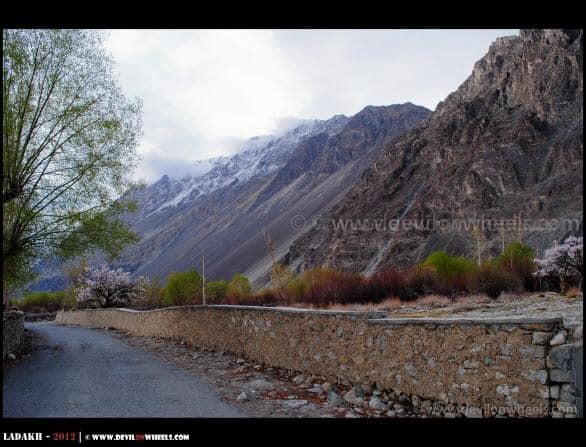 You need to break the journey at Sissu and then next day make a trip to Chandratal from Sissu. I went through wt u suggested.I have a few more qns,1] v r 18 ppl in 3 four wheelers planning to reach pangong Tso from Diskit via Warila pass. wt is ur advice ? How long [apx] it will take to reach by Xylo. Is there any possibility of a stay at thangyar as I read somewhere Thangyar has good Hotel & descent stay. If yes apx cost ? I don’t think Tangyar has hotels, it must be home stays. 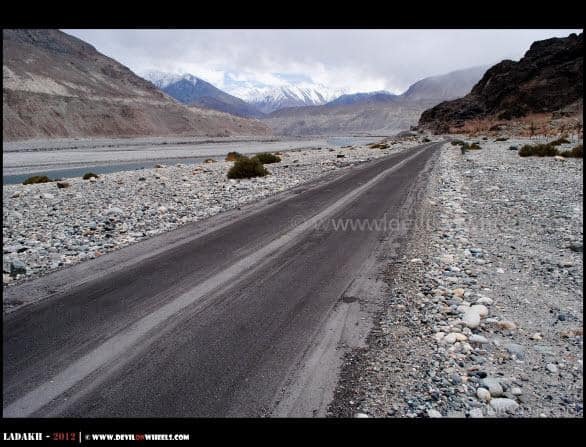 Also, Diskit to Wari La can be taken but keep in mind that it is a desolate route but since you have a group and other vehicles as well. So, not much of a worry. Just ask locals if it is open or not during your day of visit. 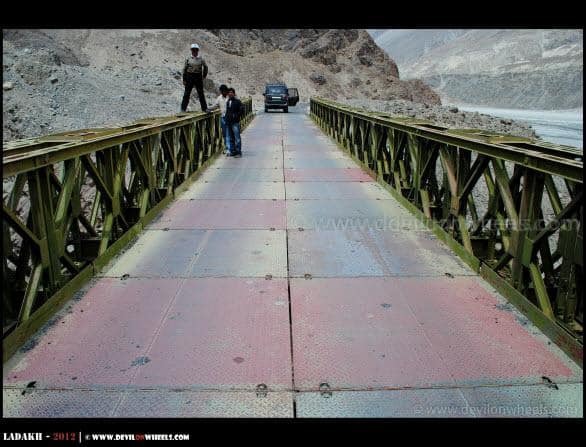 I wanted to know about the bridge at Agham village, is that d shortest way connecting Nubra to Pangong lake, the eastern most road via Shyok village ? is it open in August ? Is it on the eastern side of the road on which Warila – pass is there ? 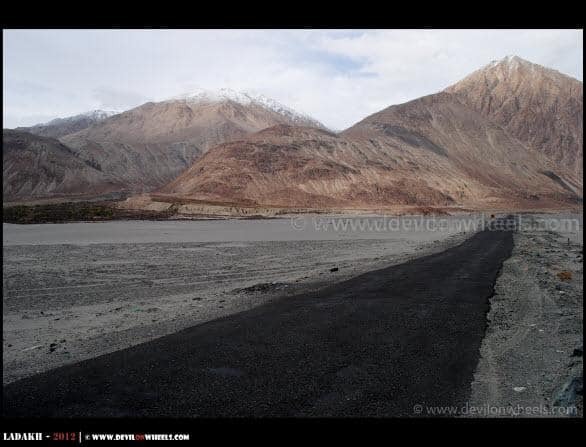 Regarding Nubra Valley to Pangong Tso route, in order to take Nubra Valley to Pangong Tso via Shyok village, you need not have any permits. 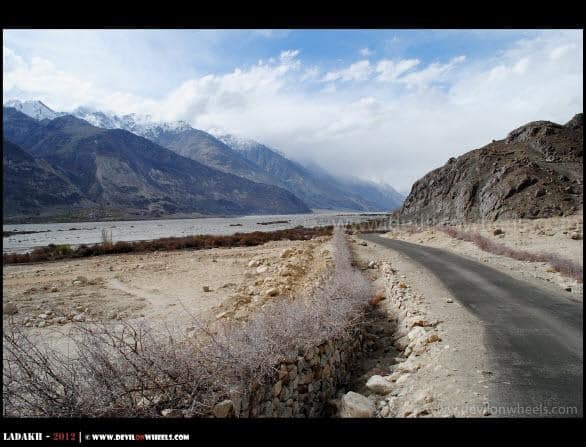 However, with such a small distance it appears tempting to be done BUT just to analyze the difficulty I will strongly suggest that you read:Trip Report | Nubra – Shyok Village – Pangong Tso Route. The report is from last June & in July/August, most likely the route will be washed away. So better confirm first, analyze the high risk involved and then only attempt it or better avoid it unless very much sure. 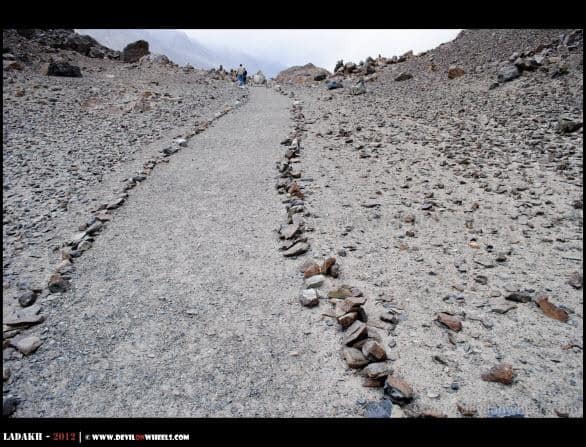 Next possible way is to attempt Wari La route, which is also a bit desolated but doable enough. Remember that any help required on both these routes will be HARD to find in distance. Now a days, it has become a social status to go to Kailash Manasarovar and Mrutyunath and other such high altitude . I feel, as many people have access to these places, by helicopters and what not, people are spoiling the sacred , pristine spaces. Whereas, these areas, which I see here, seem to be remote, out of general public’s reach, thus exclusive. Hope the places remain so. 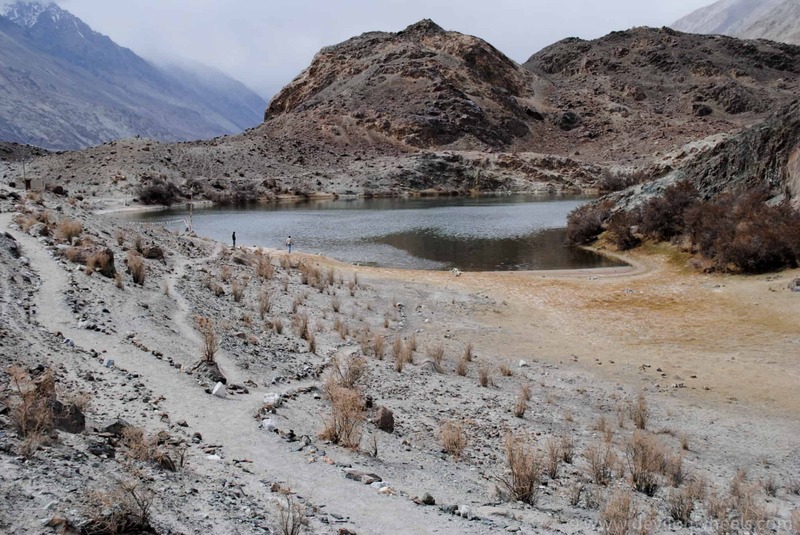 Seriously, very few people know about this lake but it is sacred and special for the local people and this is the precise reason that it is still not polluted and intact to original beauty. In time to come, you will see more of its pictures over the net and more people visiting the place. I hope they keep it as is. But, unless we take some responsibility, nothing can be done to respect and preserve such bodies mother nature. Hi Dheeraj, how r u.I am ready to go on 6th of sept. Do you have any idea about the weather at that time.Is this a good time for photography, as i stay there till 17th. I am doing good and I hope for the same for you too!! Thanks. Weather should be fine at the end of your trip as we are experiencing delayed monsoons this year as well. So, may be at later stage of your trip rains/dark clouds might reside the region. Sir u got clouds everywhere. Do u think now it’s good to go in the month of April for photography? No blue color of sky? No Swapnil, it is not good time to visit. Learn from my mistake 😀 … For photography, September mid onward is the best time to visit Leh – Ladakh. What gorgeous captures! That bridge captivated me the most!! Beautiful scenes, nature at its very best!